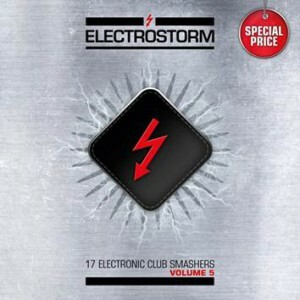 German Import – One of the most popular compilation series of the scene returns with a fifth instalment… and yet again, the brand name “Electrostorm” stands synonymous with unconditional quality. The new sampler yet again unites the most important bands and highly promising newcomers from the international Electro-scene on a jam-packed disc at the low price of a CD-single! The song selection features several songs that are previously unreleased and some rare remixes while the line up of featured bands should make any Electrohead’s mouth water. From top dogs like Blutengel, Combichrist, Hocico, Suicide Commando, Agonoize, Solitary Experiments, Melotron, Rabia Sorda, Client, Acessory or Ashbury Heights (who are returning with a superb new song after a prolonged hiatus), via legendary acts like The Klinik Die Form, Lescure 13 or Signal Aout 42, down to promising newcomers like Too Dead To Die from Russia or brilliant nonconformists like Rummelsnuff (who enters the ring with a thudding remix from Italian EBM-legend Pankow), it reads like a who is who of everything that a fan of synthetic sounds, fat beats and machine-induced pressurization could wish for. Over one hour of pure, electronic bliss that covers the entire bandwidth of our highly versatile scene at a price that is less than two beers at your local watering hole! The perfect companion for abroad, at home, at the fitness studio, at parties and at clubs! Join the movement! Join the Electrostorm!